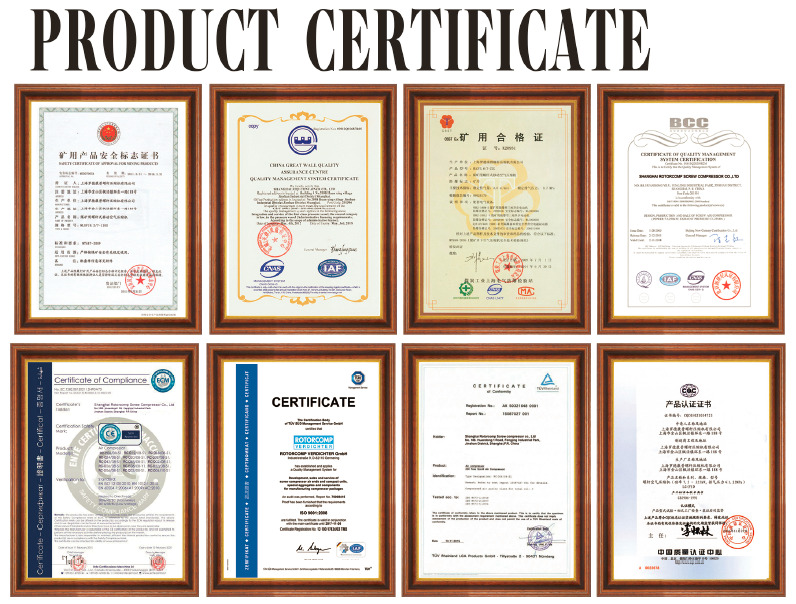 From 2017, we successfully develop the new generation oil-free air compressors with the ISO9001 certificate, ISO14001 certificate, energy-saving product certificate, OSHAS (Occupation Safety and Health management System) certificate, vonTUV certificate and CE Certificate. According to the Standard European Din40080, our air end and air compressors have won the praises of the customers over 45 countries worldwide. Followed the principle and policy of " First-class Quality, First-class Service" Shanghai Rotorcomp insists on improving ourselves into a first-class supplier for the air compressor.